With new Tier 4 engine upgrades, these drills offer contractors 60,000 pounds of thrust and 9,000 ft-lbs. of rotational torque – the right combination for superior productivity on large installations in rural or urban environments. Drilling with 200-gross-hp Tier 4 Cummins engines, the JT60 and JT60 All Terrain deliver the power to bore through the most challenging underground obstacles, including rock and other hard, fractured soils. The two-pipe drilling system featured on the JT60 All Terrain drill delivers more raw power to the drill bit than any other rock-drilling system in its class. The combination of simultaneous drilling and steering through rock allows HDD contractors to get jobs done faster and more efficiently. 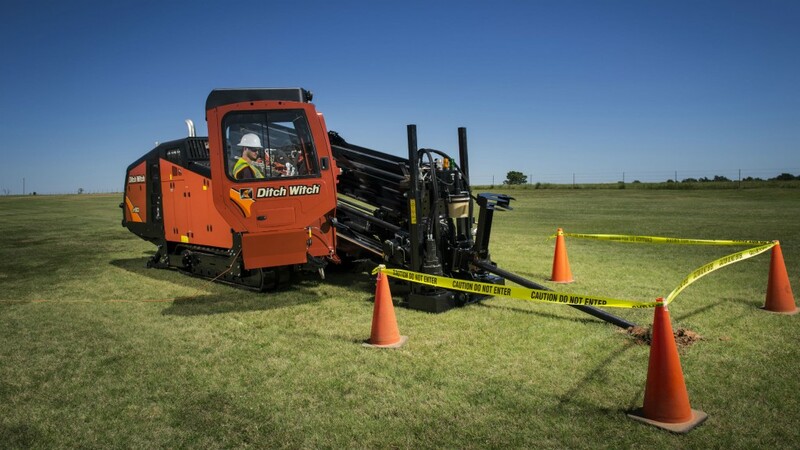 Both drill models feature an automated, easy-to-use pipe loading system, designed to save contractors time and money, as well as an optional new wireline platform. Heavy-duty anchor systems provide the stability necessary during drilling and backreaming to use the machines’ full thrust capabilities when navigating challenging underground conditions, keeping the drill operating efficiently and the bore path stable. With the smallest footprint in its class, the machines drill through the toughest conditions even in hard-to-reach, tight jobsites. Upgrades to the fully enclosed cab provide operators with an excellent view of all drilling operations, and intuitive joystick controls for all drilling functions. The drills are equipped with a colour-LCD engine display that keeps operators up-to-date on drill performance, increasing project uptime. Other enhancements to the models include improved noise reduction technologies, new wireless remote for ground drive and a dual-pivot frame for improved stabilization and faster project setup times. In addition to the Tier 4 engine upgrade, other engine options for less-regulated countries are available.